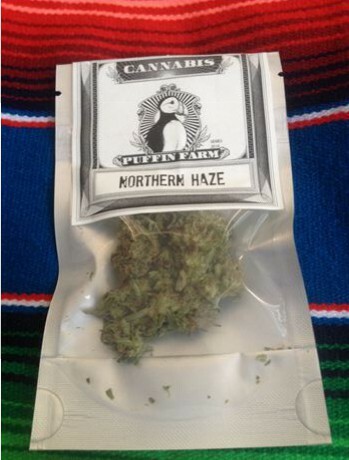 Northern Haze was purchased at the Dockside Cannabis in North Seattle. I felt cerebral that day and was guided to the sativa-dominant Northern Haze by one of the charming Budtenders. I’ve been a consistent fan of Haze hybrids in the past and needed festive flowers to contribute at my friends’ Holiday gathering. In the context of a social setting, Northern Haze will spark just the right vibe. 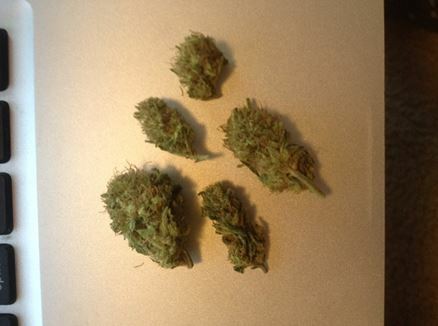 Info to Know: Did you know that the “Original Haze” was a pure sativa line? Haze strains are typically sativa-dominant, but due to its long flowering times and tall stature, haze is a popular choice for breeders. Rating: 3.6 out of 5 for the head warmth. Taste: flavor is spiced and toasty, closer to the creamy side of the spicy spectrum, maybe even almond. Definitely nutty. High: Head centered and conversational. Colorful. Mellow. Definitely a high to vibe to. Keep the music tempo on a low-mid basis. Burns crisp, uplifts immediately and then settles. Lingers on the back of your tongue. Gets the back of your mind all velvet. You won’t forget what you’re doing but you might take a little longer to get back to it. Definitely takes you to a familiar sativa headspace, sparks creativity in just the right way. Mixed with Bubble Gum. I call it Hazy Bubbles in the Far North. Produced by Puffin Farm in the Pacific Northwest and Harvested mid-October 2014. Haze strains originated in Santa Cruz, California in the 1960s. The favorite psychedelic sativa has diverged into countless Hybrids across the country. Definitely a high to revisit. Not a blockbuster, but it’ll keep you convivial and you won’t let a pizza pass you by. Good bud for the midday (smoked before a dentist appointment), you’ll stay refreshed. Won’t take you off your toes, but is better paired with a cold beer and a good friend.